The time for OTT is now as the amount of internet connected devices have exploded. This market provides TV service providers, content owners, aggregators and other service providers new ways to exploit their existing content, reach their customers even globally and increase revenues from online! 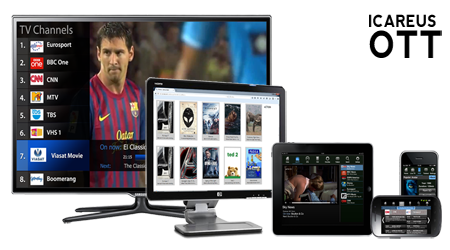 Icareus OTT solution provides a cloud-based end-to-end solution for service providers building a new OTT service, ie. CloudTV. On the other hand Icareus Suite Open API allows also utilizing the service providers existing infrastructure like asset management, CRM, billing platform, DRM and streaming servers seamlessly integrated with Icareus OTT service. Monetization opportunities with Icareus OTT solution are versatile, supporting e.g. 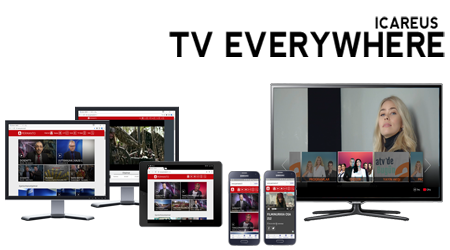 TVOD, SVOD, Pay TV channels and advertising in all of its forms including display pre-roll, mid-roll and post-roll videos. Broadcasters to reach TV Viewers Anywhere at Anytime! Taking your TV advertising to next level! Are you interested in higher CTR and Impression percentages on quality audience? Add direct dialog with the TV viewer to collect e.g. contact details. Icareus Addressable TV™ takes TV commercials to totally new level by introducing lucrative hybrid ad spaces and personalised video ads. 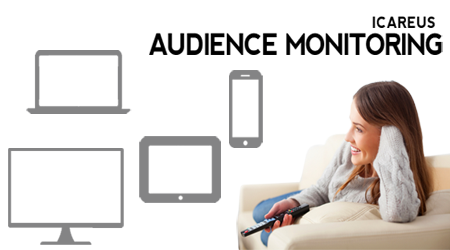 Icareus Addressable TV™ solution provide tools for advertisers to take their TV commercials on totally new level. Bringing display ads to TV allows advertisers to a direct connection with an individual TV viewer and makes it possible to collect information from them. Knowing your audiences is a key to succeed as a broadcaster or operator, either you offer on-demand or linear services. 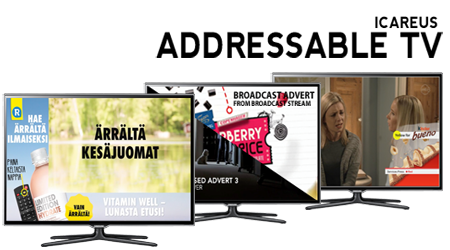 Icareus has combined its unique knowledge from both OTT and Broadcast environments to offer a complete platform to manage HbbTV services from video delivery to application deployment. The solution combines all the necessary components from HbbTV 1.1 to 2.0 and above. You want to start with HbbTV, but you are not sure what to purchase to set- up your environment? Don’t worry. Icareus has been doing Interactive TV services in production for more than a decade. We have also packed our production level solutions into single server to give new service developer, broadcaster, operators, research units etc the real tools to start with HbbTV. What else is needed? Nothing! Icareus Enterprise Video solution is a suite of tools to create opportunities, improve the sales and brand awareness, to train and educate own employees and sales channels worldwide and to communicate quickly and effectively through the whole organization. 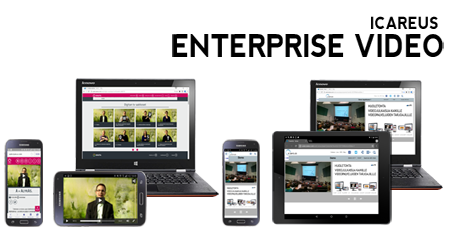 With Icareus Enterprise Video helps you to take your own organization to the video age. 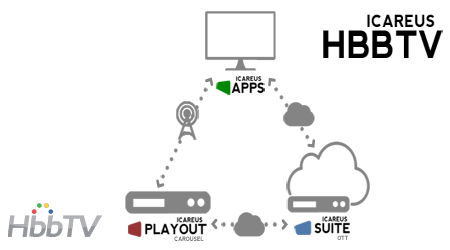 Everything through single, share, secure and reliable cloud environment with high quality support services. And naturally video service branded with your own organization brand and only with your brand.